Exceling in a dynamic corporate environment is all about achieving goals. And nothing will get you closer to achieving them than your refined skill set. Honed skills can make you more confident at doing your job. You can get things done faster and more proficiently. This improves workplace productivity, and will thus lead to the better profitability of your organization. But, how can you continuously develop the skill set of your employees? The best way to ensure that the skills of your workforce are up-to-date with latest industry trends is to provide regular digital learning courses. Digital courses are in complete sync with the frame of mind of today’s millennial employees. 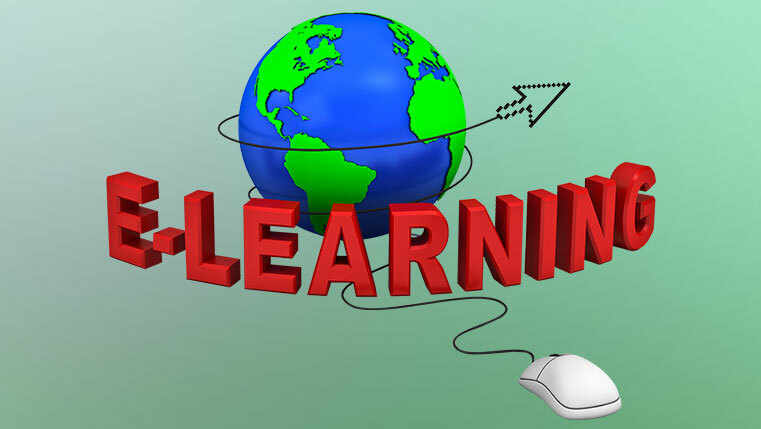 E-learning courses are usually taken on a personal computer and they are hosted on the Learning Management System. Users can access the course at a time most convenient to them. In case someone is a slow learner, they can proceed with the course at their own pace. E-learning courses combine visually appealing elements such as videos, infographics, and animations with proven instructional design principles to create a course that delivers knowledge effectively. They are proven to increase learner interest, knowledge retention, and topic recollection. Owing to these factors, e-learning courses can be a driving factor in increasing the skills of your workforce. By giving employees the freedom to learn a topic at their own will, you free them from the rigidity of classroom training. Employees who learn in a more comfortable environment tend to grasp things faster. Plus, e-learning courses can be rapidly developed, fulfilling the requirements of immediate skill development, with ease. By combining the good qualities of digital learning and classroom learning, blended learning gives a user the best of both worlds. It gives users the opportunity to brush up on a topic on their computers or tablets, before attending a classroom training on the same. Any doubts or questions they might encounter in the digital part of the course can be cleared in the classroom. They can also get into active discussions with their peers about the topic, and really deepen their understanding of the subject. Blended learning can provide a dual reinforcement of knowledge. Learners get the flexibility of learning and revising the topics through digital channels, while getting the personal attention of classroom training as well. Giving learners an idea of the practical application of knowledge can greatly boost skill development. Getting into peer discussions can greatly increase skill confidence as they get to know the flaws in their understanding. Mobile phones as a learning medium come with a completely different set of strengths and weaknesses. They can provide flexibility in learning like no other medium can, but at the same time are marred by limited screen size. Hence, mobile learning is better used to deliver just-in-time training or performance support, rather than full-length courses. Performance support courses are bite-sized trainings, covering a small topic, in the most efficient way possible. Employees who are constantly on the run, or those who interact with a lot of clients on a daily basis don’t find much time to pay complete attention to full-length courses. Performance support can be a boon for them. Providing just the required information in the nick of time, in an easily absorbable format, can really boost knowledge recollection. Employees having all their required information inside their pocket can really enhance confidence levels and conveniently fill the gaps in their skill sets. Skill development should be an on-going process and shouldn’t stop with just one single session. Using the latest educational technology, it should be relentlessly pursued to continue delivering excellent results every time.